Our “friends” at Northeast Ohio Media Group are at it again. If it wasn’t enough to muckrake and scandalize every benign story coming out of the inner ring suburbs, tweeting out the police blotter, gleefully baiting the trolls that anonymously spew their soul-crushing racist venom, we now have this little gem. Disguised a bit like a mommy-blog, Laura Johnston’s latest article, published on January 31st, manages to accomplish many things at once. She tears down CH-UH schools, perpetuating the myth that the schools are bad, complains about the property taxes in her suburb (which she only describes as “The Heights”), and with one mouse click, plunges another inner-ring suburb’s reputation further into disrepair. CH-UH Schools also serves part of South Euclid. We are all in this together. We should expect more from our local media. Tearing down a community and a school district that has been doing great work and fighting endlessly to restore community confidence is not acceptable. Our friends at the Heights Coalition for Public Education and the CH-UH PTA Council are co-sponsoring a rally on Wednesday, February 17th at 9 am at Boulevard School to show their support to students and faculty on the day the state test scores are announced, as a way to say, “we are more than a score”. As we know, these arbitrary measures favor the least diverse, most affluent schools and further encourage segregation. It’s time to take a stand. Let’s stand together for our communities and our schools. 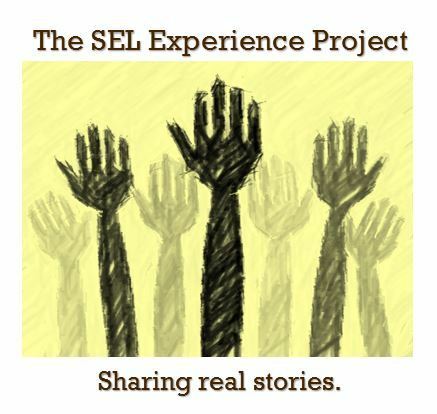 < Previous Tell us why you love teaching at SEL Schools! Next > Tell Us Why You Love Attending SEL Schools! I love this storytelling project! You are doing a wonderful service for our communities. Thank you for promoting the “We are more than a score” rally at Boulevard. I’ve been a resident of The Heights for 22 years. The perceptions are so far off base from the reality. It’s time for us to tell our positive experiences. My son attends the public schools and we are very happy with the quality of his education. You are right, most of the people spreading the negativity have never set foot in our schools. They just repeat what they hear and further spread the baseless fear, uncertainty and doubt. Thank you for creating a forum for telling the real stories from people who’ve actually experienced our inner ring public schools — and thrived. Thank you for the kind words and for sharing your story. If we all keep sharing our positive stories, we can change perceptions. Thank you for the kind words Jodi!